Serialization using custom fileformat, try preserving all object properties. Relatively smooth memory management of selected object using reference counting. Quake 2 model format import. 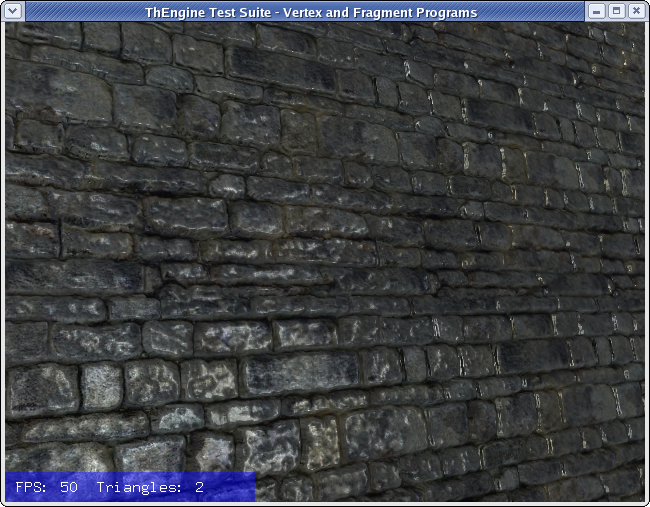 Per pixel ligthing effects, displacement mapping (parallax mapping) and normal mapping. Nothing, I do not have the time right now. Worst-case Polynomially Hamilton Path Finder. 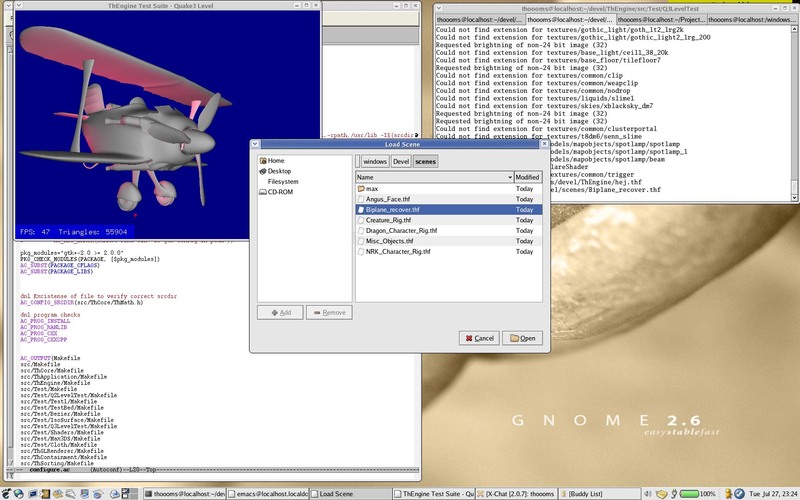 (July 2004): Airplane exported from a 3DS Max file using the custom exporter and loaded in the linux client. The file selection dialog is open in the middle. 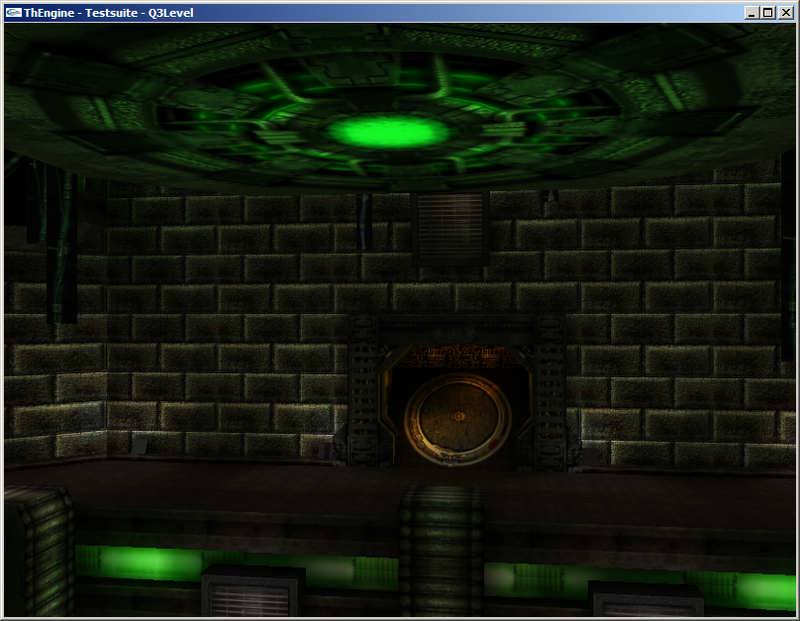 (June 2004): Per pixel lighting, bumpmapping and parallax mapping (displacement mapping). (February 2004): An imported Quake3 level with lightmaps.